WII FIT PLUS ZUMBA FITNESS CLASS PACKS GET YOUR KIDS MOVING WITH FUN, EXCITING, HEART-PUMPING ACTIVITIES. Each package includes the following items + the components listed with each package. 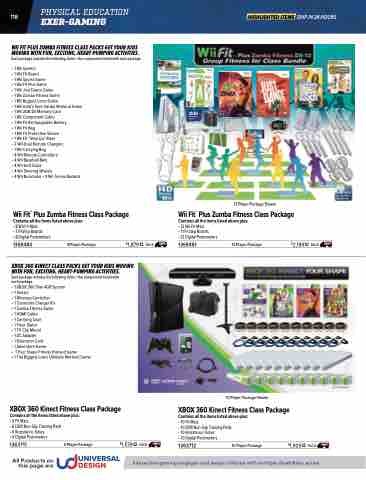 XBOX 360 KINECT CLASS PACKS GET YOUR KIDS MOVING WITH FUN, EXCITING, HEART-PUMPING ACTIVITIES. Interactive gaming engages and keeps children with multiple disabilities active.